Hockey is gearing up at the moment. We have our mixed team competing at the zone competition next week and the girls the following week. Today we were learning how to do a sweep pass. A sweep pass is a powerful pass where you sweep your stick along the ground before it connects with the ball. Check us out in action. I love to play hockey too, it's such a fun sport. Did you know that in the old days hockey sticks were a different shape? The end of the stick was much longer than it is now. I love to play Hockey because it is a fun sport. And I also Love the stick's. Hi Mrs Archer I like the way that you explained what a sweep pass is and how to do it.Also it is good that you put captions so people know what the photos are about. 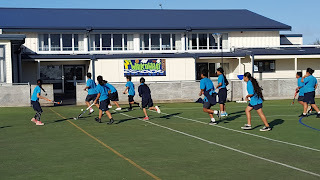 Hi my name is Hilary and I’m from room 9 in waikowhai primary school.I bet that you guys did great at hockey.Did you guys have the competition on 21st of June this year?Did you compete with Waikowhai primary? I also like hockey,mr bryan also teachers our school to! How do you sweep pass? Bula Scott class.I like how you are passing it to each other nicely.Was it hard at the first time? Do you like playing hockey? Hi there, my name is Isabelle and I am a student in Room 9 at Waikowhai Primary School. I really like the photos of you practicing doing a sweep pass. 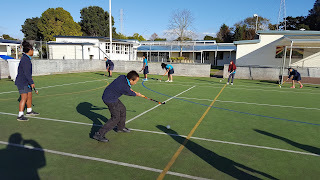 It made me think of When hockey came to our school and I learnt how to play. Have you thought about describing more about what you are doing in these photos. If you would like to see my learning, my blog is http://wpsisabeller. blogspot.co.nz. Thank you for your comment. I think that we have used all the information we needed to. We are looking award to have a pick on your blog. Thank you for commenting on our blog. We really appreciate you looking through our blog. I will have a look at your blog and I hope you have a awesome day. Wow I never knew you learned about hokey too Was hokey fun? It took a long time for me to master that sweep pass because it was a bit hard.Well we have described our pictures and we have captions also captions are not for long sentences they have to be brief.Did you know that? I would love to look at your learning ! My name is Molly from Karoro School, on the West Coast. It looks like you are having great fun practicing your hockey skills. It looks like you all are participating and trying very hard to get the sweep pass. How did you get on in the competition? If you haven’t already learnt to hit a hockey ball and do a push, then my challenge for you is to learn to do these! I play hockey too. 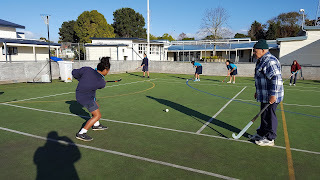 Me and my friends play hockey every week over the hockey season for a club called Karoro and when the season is over we play for the West Coast team. Hockey is a great sport! Keep up the good work! Check out my blog http://karoromollyw.blogspot.co.nz/. I am from Karoro School in Greymouth on the West Coast. I enjoyed looking at your class playing hockey. Your school is very lucky to have a hockey turf at your school. It is good to see that you are learning how to sweep pass. 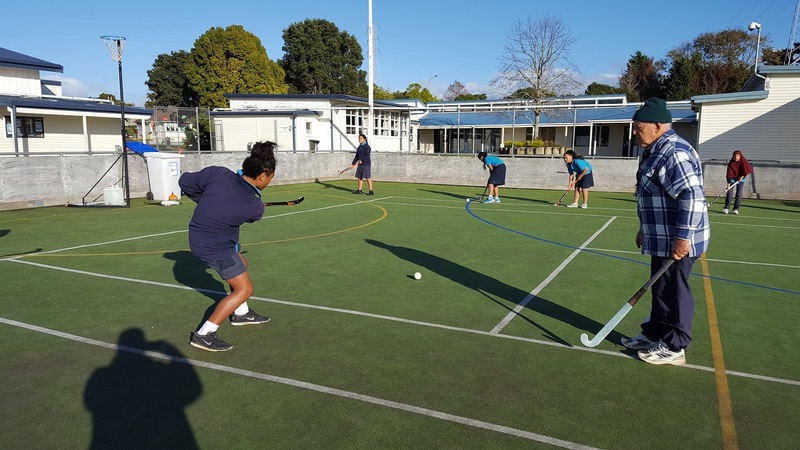 Did your school win the two competitions for hockey? I play hockey for a club on the West Coast and the West Coast representative team. Does your town have a representative team? If you do maybe we would play against your town.I really enjoy playing hockey do any of the students in your class play hockey. Maybe next time you could learn how to back stick which helps when you can't hit the ball with your forehand. If you learn could you post a video on your blog. My name is Bradley I am from the West Coast.I really enjoyed your hockey photos. It looks like you are training hard and putting a lot of effort into your training. It looks fun training and having a game. How many games did you play in the competition? It is fun playing hockey. I to play hockey for club and rep hockey. What is team called? You have an amazing hockey team hope your team wins the competition! I saw the photo of you playing hockey it look like a lot fun. 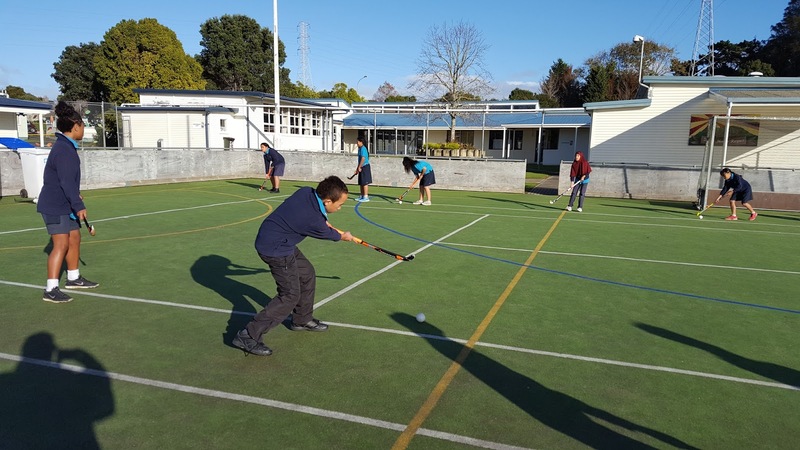 Was that hockey Caught at the school or the local hockey turf? I play hockey for a Club called the Karoro Crackers I’m a master at hockey. Next time you play a hockey game you could spread out a little more then the ball will get passed out more. My name is Jack and I like your hockey photos and I see you’re practicing. You know what a crazy thing is that hockey is my favourite sport and I am playing tomorrow. Next time you could do a video and video the full game. 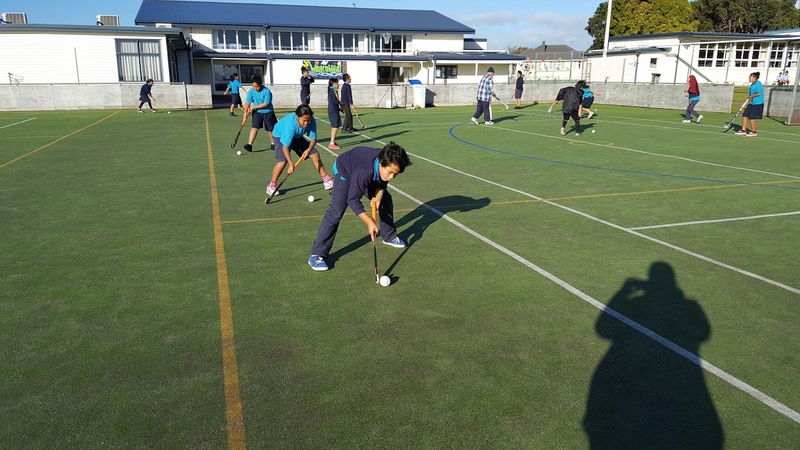 I am from Karoro School Greymouth on the West Coast, I see your class is learning how to play hockey. I like your photos on the hockey you're quite lucky you have your own hockey turf. I see that you are learning how to sweep and pass. I see you finished off with a game at the end of the season. I play hockey my self. I play club and for West Coast. Hockey is a fun sport. I have a question, do any of you play hockey or have you played? Once you have learned how to sweep then you learn to hit accurately and pass accurately. 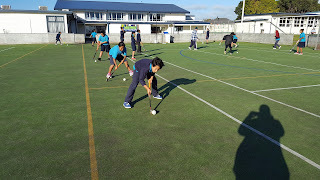 My name is Ryan and I’m from Karoro School which is in Greymouth your picture of your hockey practice is really good your technique. Your sweeping is really good. Question is your stick made out of wood because if it is will break when the other person is passing you the ball?. It looks like you had a great game of hockey. Who also won the hockey game? Once you learn how to sweep properly you learn how to hit more accurately. Your practice looks like it was fun and tiring.